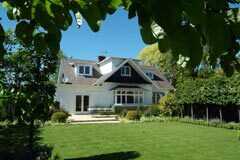 The team offer you a warm welcome to Aphrodite Boutique Accommodation, offering boutique bed and breakfast accommodation in Merivale, Christchurch, New Zealand. Aphrodite Boutique Accommodation offers stylish and spacious boutique b&b accommodation in a beautifully restored 1920's villa. Centrally located in a lovely country setting and surrounded by beautiful plants and trees, Aphrodite the Greek goddess of Love invites you to your home-away-from-home. As exclusive guests we invite you to enjoy our personalised hospitality. We are now offering serviced rooms, available for both short term and long terms stays. Your room rate includes breakfast, with an evening meal if required. Laundry facilities available. Different rates apply to short term and long term stays. Please contact us to discuss prices. Treat your loved one to a special romantic getaway, enhanced with flowers, petals, chocolate, fine wines and great dining options. Wake to a sumptuous continental or cooked breakfast, made from fresh, seasonal produce. Breakfast can be served either in your room or in the guest dining room. Convenient location, warm and comfortable facilities and friendly host. Not to mention the lovely breakfast that helps start the day in the right way! Entertainment™ Memberships include over $20,000 worth of valuable 2-for-1 and up to 50% offers from many of the best restaurants, arts, attractions, hotel accommodation, travel and much more! Purchase your Entertainment™ Book now, and help raise money to support Rosy's athletics. Rosy achieved 5th place in 200m at Nationals 2015 in Wellington and now attends Auckland University studying Sports Science and psychology. She is looking forward to full competition this coming season with a strong Winter training session under her belt. We still need to fundraise to help this young athlete to attend national and local meetings. Purchase your Entertainment™ Book today! 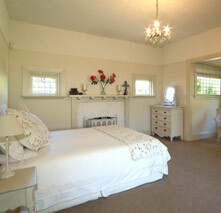 Aphrodite Boutique Accommodation is also home to the USparkle Therapy Centre & Day Spa. Aphrodite Boutique Accommodation is set away from the hustle and bustle of the central Christchurch City. Merivale Mall is an easy five-minute stroll from our boutique bed and breakfast accommodation. Merivale Mall includes niche cafes, wine bars, shops, full range of restaurants including Indian, English, Chinese and Italian and a supermarket. We are also within walking distance of St Georges Hospital. St Georges Hospital has been recently revamped and includes improved medical facilities. A city bus stop is located nearby and a beautiful sandy beach is a short 15-minute drive away. Come and relax at Aphrodite Boutique Accommodation and the USparkle Therapy Centre & Day Spa and enjoy a range of health therapies and beauty treatments, designed to make you sparkle, feel happy, content and beautiful. Health therapies and beauty treatments include skin rejuvenation, aromatherapy, eyelash extensions, manicures, pedicures, facials, massages, spray tanning, waxing and much more. Gift Vouchers are now available. Ideal for your mum, girlfriend, partner or that special occasion for your loved one. Vouchers available in a range of denominations. Purchase your Gift Vouchers online or contact us to organise your gift vouchers or gift ideas. » Go to the USparkle Therapy Centre & Day Spa. » View Treatment and Price List. » Follow USparkle Therapy Centre & Day Spa on Facebook to hear about our latest specials and deals. Aphrodite Boutique Accommodation is the perfect location for your wedding accommodation, relaxing before and after your wedding, getting ready for your wedding or your wedding photos. We are ideally located for central city wedding venues. The Aphrodite Suite is a spacious honeymoon suite offering luxurious features including an ensuite and super-king-size bed. The beautiful gardens around Aphrodite Boutique Accommodation provide a lovely backdrop for wedding photos. Aphrodite Boutique Accommodation hosts regular fundraising events to help sponsor Rosy, a budding young Christchurch athlete. Join us at one of our relaxing and fun fundraising events and get involved with your community. The team at the Aphrodite can help you organise activities and accommodation around the South Island of New Zealand. Tell us what you would like to do and see and we will organise transport, accommodation etc for you. 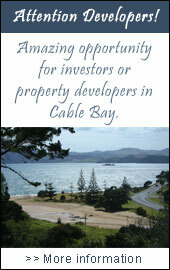 Enquire about South Island Tours. Christchurch is a beautiful city located in the Canterbury region of the South Island of New Zealand. Christchurch City is known as the "Garden City" because of its many parks, gardens and forests. Stroll through Hagley Park, often used for sports such as golf, cricket, netball, and rugby, and for open air concerts by local bands and the Christchurch Symphony Orchestra. Then admire and the 75-acre Christchurch Botanic Gardens, founded in 1863. Other places of interest include Willowbank Wildlife Reserve, Orana Wildlife Reserve and International Antarctic Centre. » More about Christchurch, New Zealand.